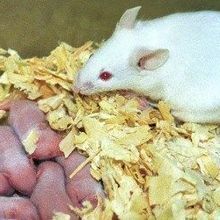 Pregnant mice expose their unborn pups to maternal gut microbes, which can affect the development of the innate immune system after birth, according to a study published today (March 17) in Science. The results challenge the notion that a pup’s own gut microbiome drives immune system development, suggesting that the molecular metabolites of the maternal microbiota are transferred to pups during gestation. This transfer of maternally derived microbial metabolites prepares the offspring’s immune system for exposure to the large variety of microbes that eventually populate the gut. “It’s a large and very impressive study that covered a large [experimental] territory,” said Alexander Rudensky, an immunologist at Memorial Sloan Kettering Cancer Center in New York City who was not involved in the work. 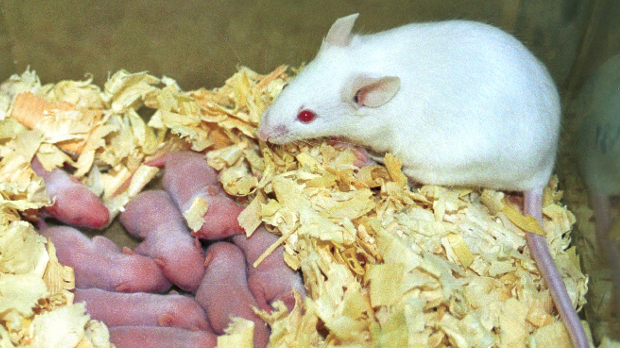 To create a system in which pups are only exposed to a mother’s gut microbiome during gestation, Andrew Macpherson, a gastroenterologist and researcher at University Hospital in Bern, Switzerland, and his colleagues created genetically engineered (GE) E. coli that only transiently persist in the gut of pregnant female mice. The researchers injected these GE bacteria into pregnant mice. 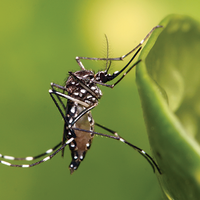 The bugs were eliminated before birth, allowing for a germ-free delivery of the pups. Compared to pups born to mice that were germ-free during both pregnancy and delivery, pups that were exposed to E. coli in the womb had higher levels of certain immune cells in their guts; these cells, including intestinal innate leukocytes and mononucleated cells, persisted until weaning, the researchers found. The team also showed that pups born to stably colonized mice with a defined cocktail of eight microbes also had higher levels of the same immune cells in their guts after birth compared to pups born to germ-free mice. The colonization of female mice with E. coli during pregnancy also changed the transcriptional profile of the offspring’s gut epithelium: treated offspring showed increased expression of genes coding for mucus and ion channels and genes responsible for mononuclear cell recruitment. To Macpherson’s mind, this suggested that gut epithelial development is likely jumpstarted by the presence of molecules from maternal microbes. The researchers did not find evidence of microbes in the placenta. Rather, a large number of bacterial metabolites are shuffled from mother to offspring, both present in neonatal tissues and milk. The effects of the maternal microbiome on pups were partly dependent on the transfer of maternal immunoglobulin G (IgG) antibodies, which are transferred across the placenta. The IgG antibodies were also transferred to pups though milk as mice born to germ-free mice that were nursed by mothers colonized during gestation showed an increase in certain innate immune cell types. 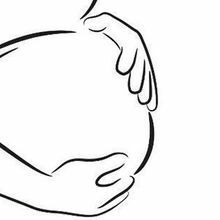 The researchers “show that the maternal microbiota, via maternal bacterial metabolites associated to antibodies, cross the placenta and reach the fetus and are then further consumed through breastmilk after birth,” wrote Dominguez-Bello. The work “demonstrates that gestational exposure to microbial molecules, but not necessarily culturable microbes, per se, alter the neonatal and infant immune repertoire,” said Kjersti Aagaard of Baylor College of Medicine and Texas Children’s Hospital who also was not involved in the work. The immune systems of pups born to mothers colonized during gestation also appeared to protect against inflammation and bacterial invasion. These pups were better adept to responding to a challenge of E. coli in the gut after birth. Among other things, they showed boosts in the expression of antimicrobial peptides not seen in the pups born to germ-free mothers. M. Gomez de Aguero et al., “The maternal microbiota drives early postnatal innate immune development,” Science, doi:10.1126/science.aad2571, 2016.